The UK is a big fan of championing the underdog. We love to see a big fish taken on by relatively small fry, and that is exactly what King of Shaves is doing with P&G giant Gillette with its tennis-themed viral. With roughly 80% of a £400m-a-year UK market, Gillette is a global force to be reckoned with. P&G is the UK’s biggest advertising spender, splashing out an annual £203.9m [Source: Marketing’s Top 100 Advertisers 2011]. King of Shaves, in comparison, takes its brand message to the masses largely through social media. Its YouTube channel has racked up 222,835 video views and brand founder Will King has 4,356 followers on Twitter. All without the help of a celebrity backed ad campaign. The latest YouTube offering from King of Shaves is right on brand message. 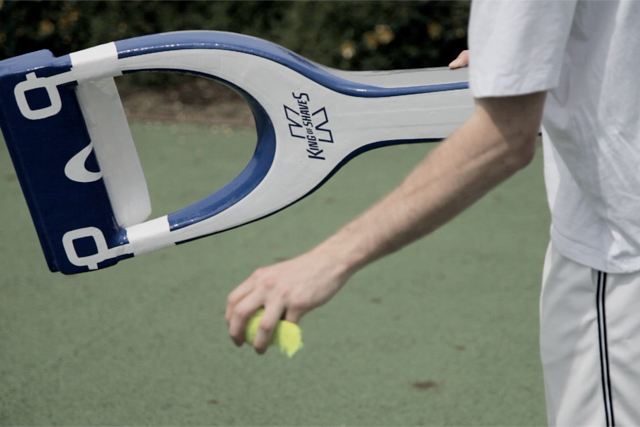 It timely taps into Wimbledon fever and has a humorous tongue in cheek dig at its big fish rival. The viral has had 2,845 views since it was posted on Wednesday (at time of publishing). Gillette’s Roger Federer ‘world’s biggest shave’ viral has racked up 208,010 views worldwide since it was posted on 18 June, by comparison. Those are the figures the backing of a world renowned tennis player will buy you.